The course is flat (similar to 2018) and there will be medals at the finish line for all competitors. Post race goodies in the hall after the event. Registration also available at the sports shop” Sportsmaster”, Celbridge at the discounted rates. Registration and number pick up will take place from 8:00am at Straffan Community Hall, with the race starting at 10am sharp. Route map available to view in FAQ section. Route Map Above. 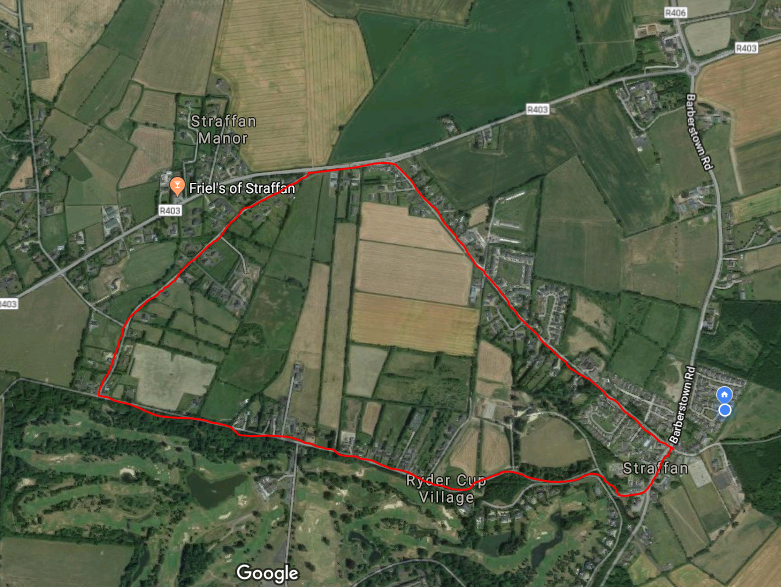 Route is start at school or beyond (will be wall marked on day) down by hall, right at crossroads, up Boreen Road, first right, follow road and join Clane road for 200m, down onto New Road (road where you started). People doing 10k do not cross the finish line having done 1 lap as you haven’t finished yet – you have another one to go. Finish at the hall and go in for some well deserved treats. 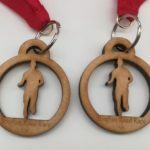 There’s a medal for all paid runners or walkers. 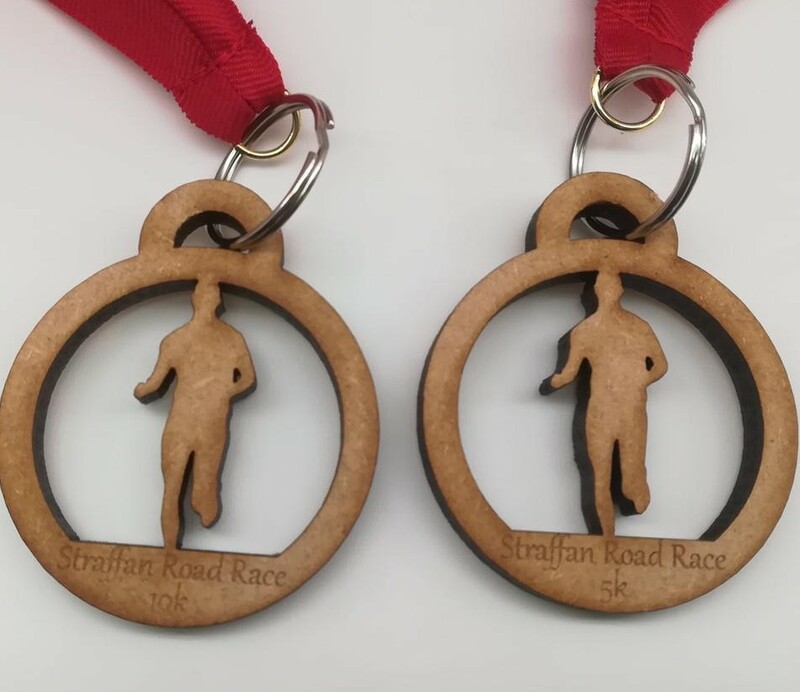 These unique, wooden medals were purchased through Techcreate, owned by Straffan Gate resident Matt Eve . See picture in race description. 9:30 – Warm up with Mairead , between 2 starting points. Mairead is a qualified fitness instructor. She does classes in the hall and is a personal trainer also. Please note : The roads are not closed. Please run on the right.